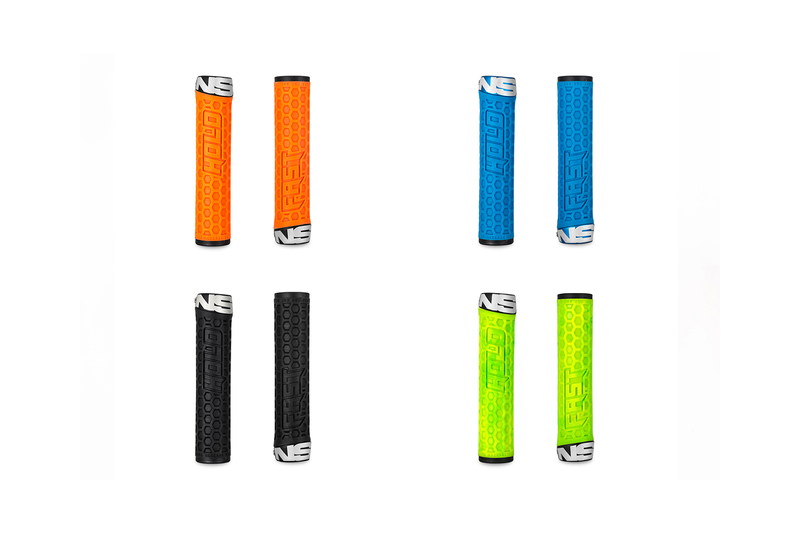 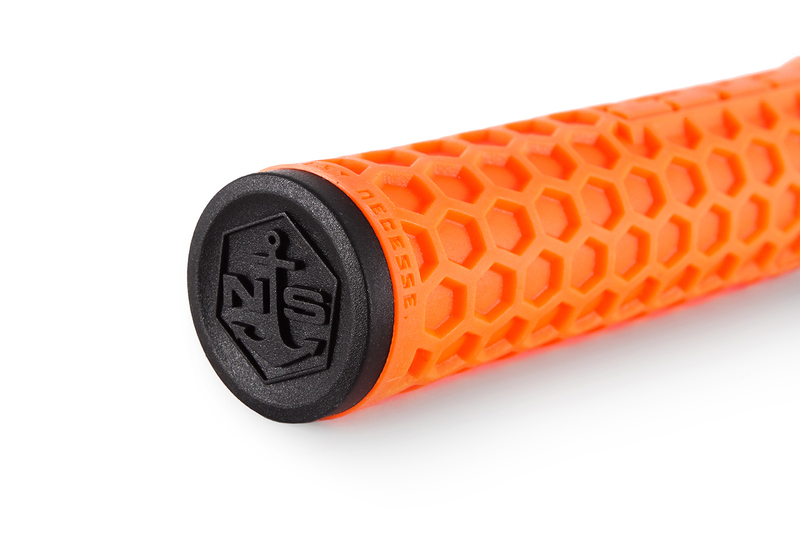 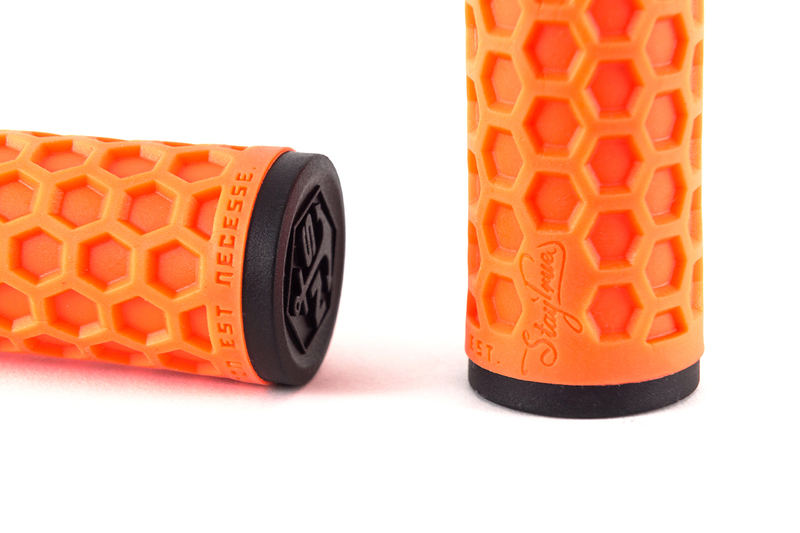 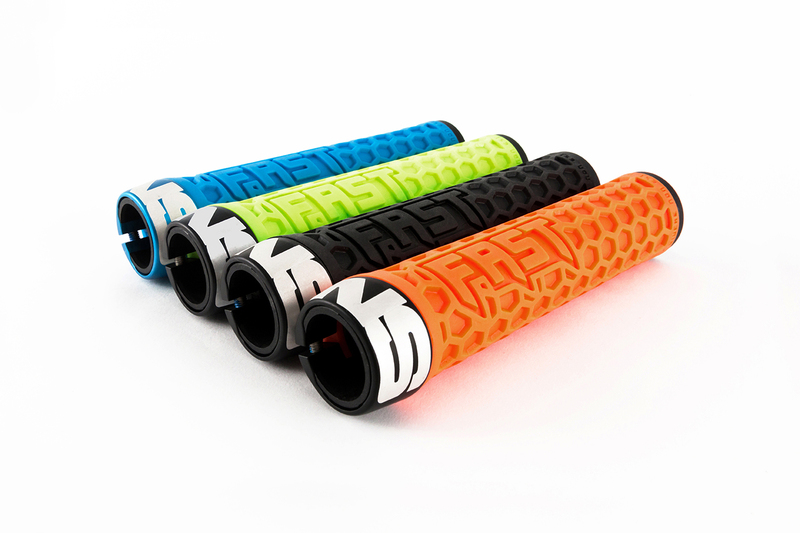 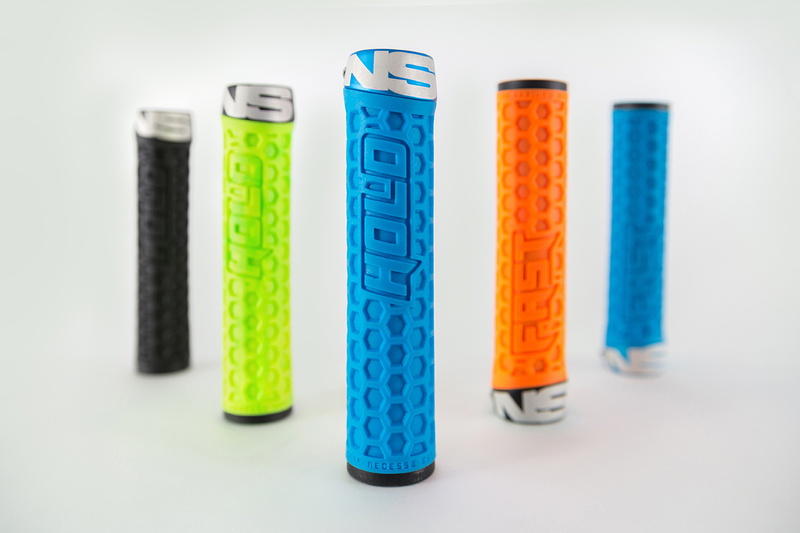 New one clamp lock-on racing grips from NS. 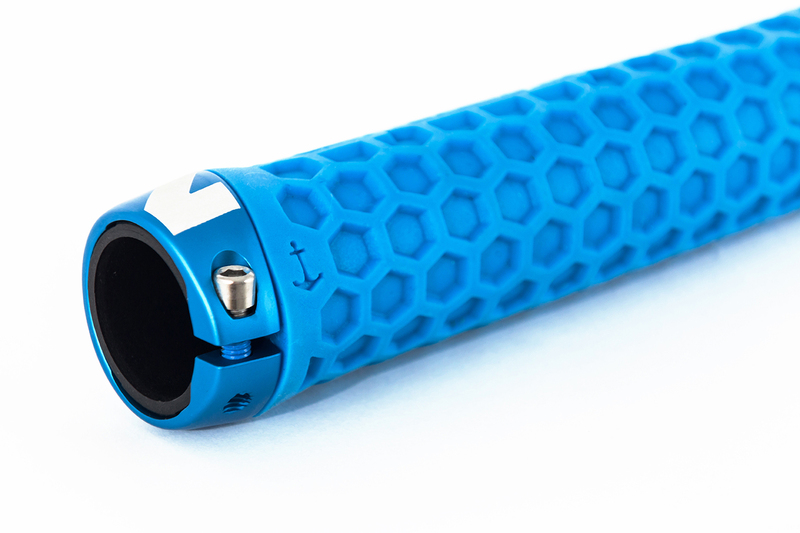 Designed for modern, wide handlebars (grip width: 148 mm). 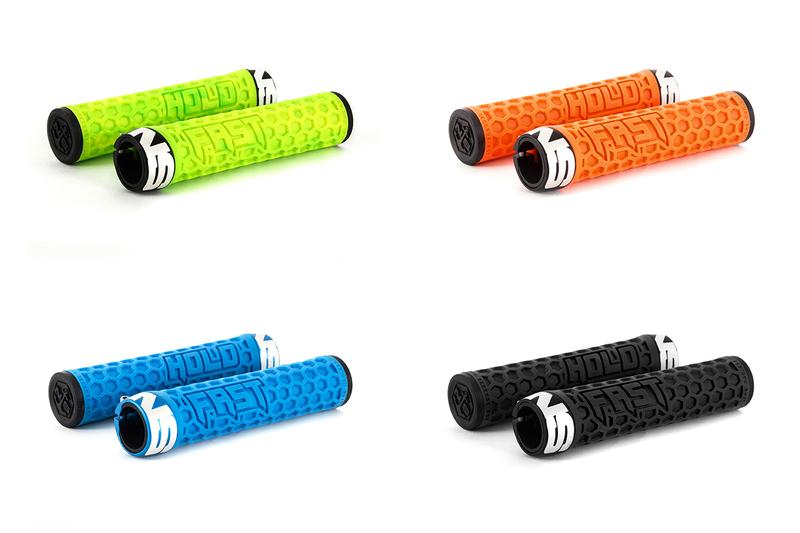 The integrated hard plastic bar ends provide a lot of durability and protect your handlebars ends from craking. 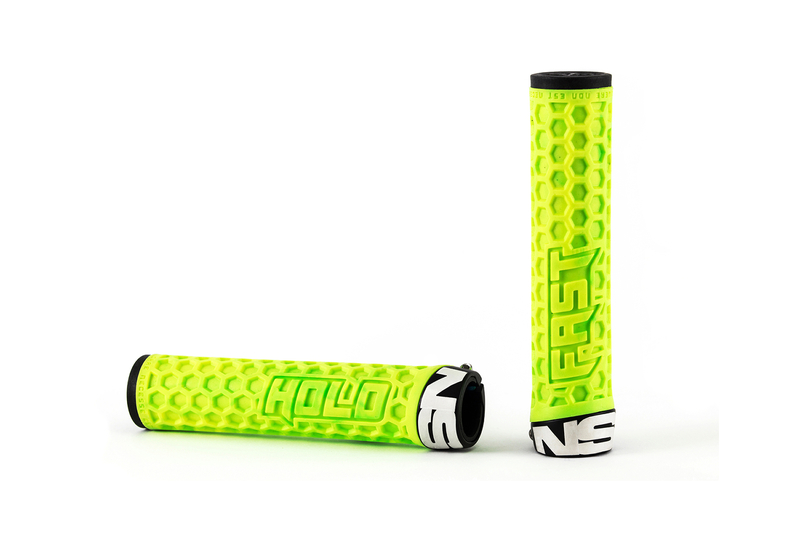 The Hold Fasts are reasonably thin and have smoothly rounded inboard clamp, so they feel great with or without gloves.